Prescott, AZ Residents - Call 928-774-0060 anytime to ask about our latest Environmental Consultant specials! Patty Rubick Luttrell, R.G., C.M.C. manufacturer-trained on the RMD LPA-1 x-ray analyzer (XRF), and is manufacturer-trained on the FLIR B2 infrared thermal camera. She is a technical writer that brings years of experience and expertise to the court room, and excels in the technical critique of written reports. 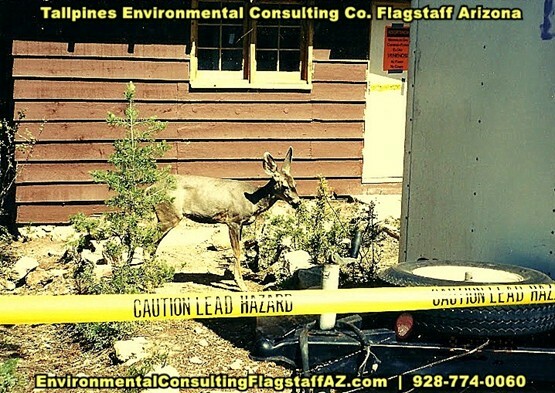 We're experts and offer the following: VOLCANIC HAZARD GEOLOGIC ASSESSMENTS, VIRUS MICROBIAL ASSESSMENTS, GEOLOGICAL ANALYSIS, GEOLOGIC ASSESSMENTS OF FLOODS, EPA METHOD 9 OPACITY, LEAD-BASED PAINT INSPECTIONS, STORMWATER SAMPLING in and around the Prescott, AZ area.